CapPlus delivers technical assistance to build financial institutions' capacity to apply best practices in areas such as the following. For EMii, CapPlus also develops products and services tailored for schools, the parents, and others in the schools’ value chains. 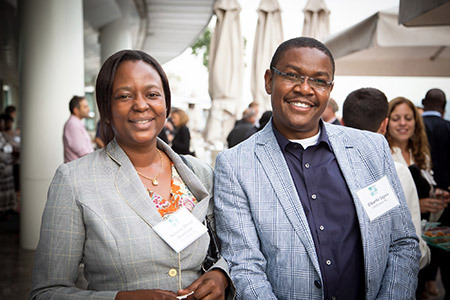 CapPlus conducts due diligence or needs assessments and manages technical assistance funds to leverage the impact of new capital and governance. Clients not only have access to onsite CapPlus banking experts, but also to the larger community of CapPlus staff and clients where informal coaching, peer experiences, and long-term relationships are available to help institutions succeed. Combining capital with capacity building strengthens the profitability and impact of financial institutions, reducing risk and increasing returns for impact investment funds. CapPlus brings together leading professionals from the banking, development, fintech and country markets to share emerging innovations, proven approaches and global best practices. CapPlus develops and mainstreams innovative solutions to common challenges experienced by institutions wanting to increase their financing of SMEs. Private schools represent a $4.5 billion market opportunity for financial institutions to deliver credit in just eight cities. EMII leverages the schools’ desire for credit to require improvements in education quality through loan conditions, incentives, and more intensive interventions. CapPlus also engages with Ministries of Education to build a supportive relationship and, where needed, invests debt in financial institutions for onlending to schools. 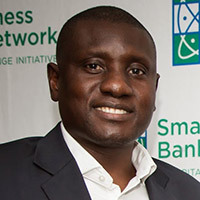 SBBN was the first membership-based network focused on scaling finance to small and growing businesses in emerging economies. Based on its success, the G20’s SME Finance Forum created its own membership network. SBBN is now merged into the Forum and CapPlus is the Forum’s partner in managing network activities. View a case study on SBBN here. The benchmark compiles granular details on drivers of small business finance success and profitability. It summarizes the strategies used by leading financial institutions to achieve high performance in small business finance, with a specific focus on lending. It also provides valuable information on methods to increase productivity. Build-out of SME business line. Developed centralized, comprehensive risk management structure, including revised capital plans, organizational changes, formalization of operational and control processes and establishment of an independent risk management function. Leadership training and strategic and organizational restructuring conducted. Conducted comprehensive small business diagnostic to identify opportunities for developing and expanding SME finance activities, including analysis of overall operations necessary to support service to the segment. Designed new products, refined procedures, and implemented a recruitment strategy to attract the best-qualified loan officers to support the bank’s growth. 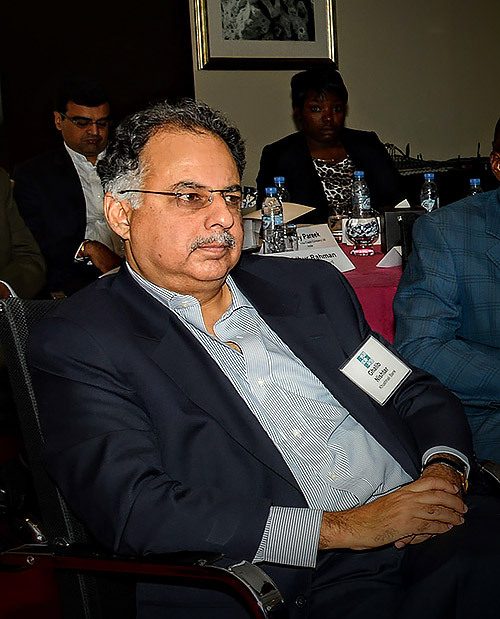 CapPlus also developed a capacity building plan incorporating branch operations, operational efficiency, credit risk management, IT, human capital, branding and marketing, and communications. Multi-year capacity building assignment including strengthening governance and internal audit, SME training, IT conversion, savings mobilization, and embedded risk management. IT conversion: diagnostic, risk assessment, roadmap, and strategy. Leadership and management coaching and training, including follow-up assessments. "Building Capacity to Serve SMEs and Women Entrepreneurs"
From its founding in 1996, CRDB has grown into an innovative financial services company with a robust portfolio and uniquely tailored products. The bank has a network of over 90 branches as well as internet and mobile banking services. Since 2014, CRDB has engaged CapPlus to support its growth in SME banking. "Seizing Opportunities to Serve SMEs"
"Developing a New Business Model for Serving MSMEs"
Over 100 CRBD loan officers, relationship managers and other staff have applied skills, techniques and learnings they gained through tailored study visits and on-site staff trainings. As they look to maintain strong growth in their SME banking business, CRDB is working with CapPlus toward a long term capacity building plan with continued support in implementing recommendations made via the small business banking diagnostic. Through a variety of services, including the diagnostic, gender sensitivity and women’s empowerment training, study visits, and SME and customer relationship management training, CapPlus is supporting CRDB’s mission to provide competitive and innovative financial products and services. IDLC Finance Limited (IDLC) was created in 1985 as the first leasing company in Bangladesh. It is now the largest multi-product, nonbank financial institution in the country, with two subsidiaries on the Dhaka stock exchange, more than 20 branches, and 800 employees. IDLC focuses on the corporate, retail, and SME sectors with aggressive growth plans to be the leader in SME finance in Bangladesh. CapPlus conducted a diagnostic, which served as the basis for a long-term implementation plan to achieve IDLC’sambitious targets. IDLC is now following a comprehensive roadmap to implement the changes necessary to make SME finance its leading business line. Management wholeheartedly acknowledges CapPlus’ role in assessing its strengths, challenges and opportunities, as well as providing guidance for addressing weaknesses and taking advantage of market opportunities. CapPlus conducted a small business banking diagnostic to identify high impact opportunities for improvement. The diagnostic is a comprehensive assessment tool that analyzes the drivers of SME Banking success and overall strategic and operational improvements that are necessary to successfully serve small businesses. Founded in 2006 by three Gambian professionals, Reliance Financial Services (RFS) operates as a savings-led financial company deeply committed to the development of the Gambian people. 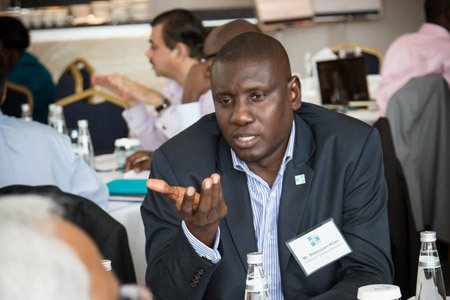 To provide financial services to the “average Gambian,” especially those at the base of the economic pyramid, RFS, with CapPlus support, began serving small businesses soon after its founding and it proved to be a profitable and fast growing segment. A technology plan developed by the CapPlus team guided RFS through a successful IT system conversion that was critical to supporting the institution’s growth. By following the detailed roadmap to set up in-house IT capacity, RFS is now able to manage its IT infrastructure, assets and activities effectively. CapPlus assisted RFS in an IT system conversion and strengthening of its IT department, working to identify overall business objectives, current levels of IT capabilities, and risks associated with the upgrade of the core banking solution. A CapPlus banking expert provided guidance, oversight and implementation support for the IT department, including annual planning and budgeting, asset management, data management, and security. Based in Islamabad, Khushhali Bank Limited (KBL) is the largest microfinance bank in Pakistan, with 118 branches throughout the country serving almost 500,000 borrowers. KBL was founded in 2000 as part of the government’s Poverty Reduction Strategy and Microfinance Sector Development Program, specifically to act as a catalyst in stabilizing the country’s newly formed microfinance sector. CapPlus is KBL’s partner in supporting its transformation into a full service MSME bank . CapPlus worked with KBL to create and launch an MSME pilot program – it is now KBL’s fastest growing, high-quality portfolio and is on target to reach USD180 million by 2020. CapPlus was an active partner in designing new products, establishing procedures, and implementing a recruitment strategy to attract the best-qualified loan officers to support the bank’s growth. The CapPlus team worked with KBL to develop a capacity building plan focused on the MSME business pilot, while also examining branch operations, operational efficiency, credit risk management, IT, human capital, branding and marketing, and communications. CapPlus continues to work with KBL in these areas through a long-term technical assistance plan. "No matter what challenges we go through in lending to SMEs, we should not give up, but should instead equip ourselves with adequate knowledge, especially through CapPlus sharing and forums." "After the success of our earlier partnership, we are looking at working with CapPlus again to integrate human capital practices with business strategy, improve organizational performance and strategy, strengthen operations, and more projects to help us build internal capacity." "CapPlus delivered huge impact in ensuring delivery of the upgraded IT system along with two alternative banking channels. Their diagnostic report is perhaps the best that I have come across in my life in banking and financial services."